Somerset allrounder Ben Green helped Devon to end Berkshire’s reign as Minor Counties Trophy champions with an aggressive half-century which helped to set up a 22 runs win at Sidmouth. The 20-year-old, who plays his club cricket for Exeter, played in Somerset’s last three Royal London One-Day Cup matches but was released back to his native county for the semi-final and he made his presence felt with 66 from 85 balls. Green added 98 for the third wicket with Matthew Thompson of St Fagans which helped Devon to recover from 28 for three. Zac Bess, a cousin of England Test allrounder Dom Bess, then clobbered five sixes in his 73 from 49 balls on his home ground to help Devon to 273 for eight in their 50 overs. Tom Nugent, a former Loughborough MCCU seamer, took 5-52, his best Trophy figures, but despite his efforts and half-centuries from captain James Morris and Loughborough MCCU opener Andy Rishton, Berkshire fell short. It was Berkshire’s first defeat in the Trophy since they were beaten by Devon, also at the quarter-final stage, two years ago. Devon will now have a home semi-final against Suffolk, who beat Oxfordshire by six wickets at Banbury, in the semi-finals on July 1. Oxfordshire were in dire straits when they slipped to 12 for four with Suffolk’s opening bowler Tom Rash taking three of the wickets on his way to his maiden five-wicket haul in Minor Counties cricket. A fifth-wicket partnership of 138 between Buckingham Town’s Jonny Cater (63) and Banbury’s Olly Clarke (75) rescued Oxfordshire but only one other batsman reached double figures in their total of 190 for eight. Chester Boughton Hall: Cheshire 374-6 (Will Evans 183, Cal Rowe 56), Lincolnshire 245 (Bilal Shafayat 61). Cheshire won by 129 runs. Sidmouth: Devon 273-8 (Zac Bess 73 not out, Ben Green 66, Matthew Thompson 53, Tom Nugent 5-52), Berkshire 251 (James Morris 51, Andy Rishton 50). Devon won by 22 runs. Manor Park: Norfolk 246-8 (Jordan Taylor 63, Rob Taylor 51, Jack Twigger 4-47), Shropshire 250-7 (Steve Leach 60, Alexei Kervezee 59). Shropshire won by three wickets. Banbury: Oxfordshire 190-8 (Olly Clarke 75, Jonny Cater 63, Tom Rash 5-34), Suffolk 191-4. Suffolk won by six wickets. Suffolk sauntered to victory with almost 14 overs to spare with solid contributions down the order from former Essex opener Jaik Mickleburgh (39), Frinton’s Kyran Young (44), Sudbury’s Darren Batch (46) and Buckhurst Hill’s Darren Ironside (42 not out). Cheshire stormed into the semi-finals by crushing Lincolnshire, last year’s beaten finalists, by 129 runs at Chester Boughton Hall. Will Evans laid the foundations for Cheshire’s highest total in the competition – 374 for six – with 183 from 146 balls. Cheshire’s previous highest score in the Trophy was 357 for three made against the Derbyshire Cricket Board at New Brighton in 2002. Evans also set an individual county record for the competition, surpassing the 168 made by Warren Goodwin against Wales at Hyde two years ago. There have been only two higher scores in 33 years of the Trophy, 200 not out by George Thurstance for Bedfordshire against Hertfordshire last year and 186 by Gary Scott for Northumberland against Cheshire in 2010. 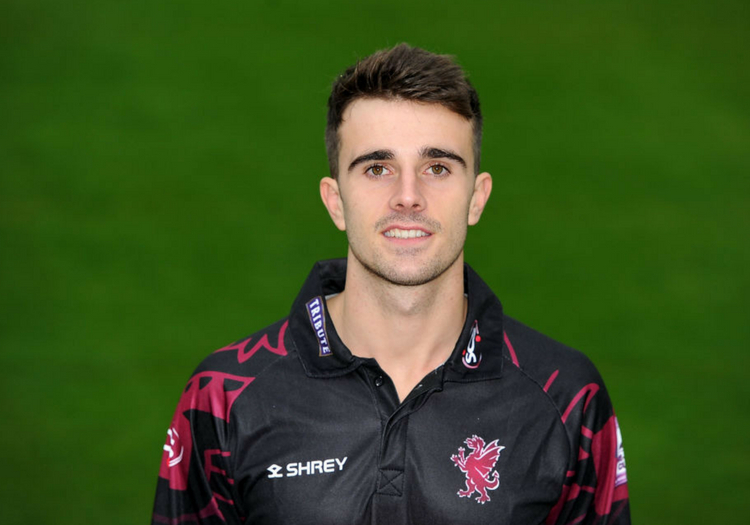 Evans has nudged Alex Wakely, the current Northamptonshire captain who made 180 not out for Bedfordshire against Oxfordshire in 2009, to fourth in the list of highest individual scores. Neston’s Evans, who struck 19 fours and nine sixes, shared an opening partnership of 138 with Alderley Edge’s Cal Rowe (56) and just had time for a quick breather after he was fifth out before he donned his wicketkeeping pads and made three stumpings as Lincolnshire were dismissed for 245. Bilal Shafayat, the former Nottinghamshire, Northamptonshire and Hampshire batsman, led the resistance with a rapid half-century. Cheshire will make a short trip over the county border to face Shropshire, who beat Norfolk by three wickets at Manor Park, in the semi-finals on July 1. Norfolk’s total of 246 for six was based around half-centuries from opener Jordan Taylor, the elder brother of Essex all-rounder Callum, and Rob Taylor, the former Leicestershire and Scotland all-rounder. But Shropshire paced their chase to perfection with captain Steve Leach, younger brother of Worcestershire skipper Jack, opening with 60 and former Worcestershire batsman Alexei Kervezee following up with 59 from 50 balls. Wellington seamer Jack Twigger, a newcomer to Minor Counties cricket this season, took four for 47 for Shropshire having been promoted from twelfth man after Alex Wyatt, the former Leicestershire seamer, withdrew just before the toss with a shoulder injury. Gurjit Sandhu, who has had county stints with Middlesex, Durham and Derbyshire, weighed in with two wickets and 25 not out, ending his innings with a runner after he was struck on a leg, to see them home with three balls to spare.